PuertoRicoFootball.com has 2 goals. 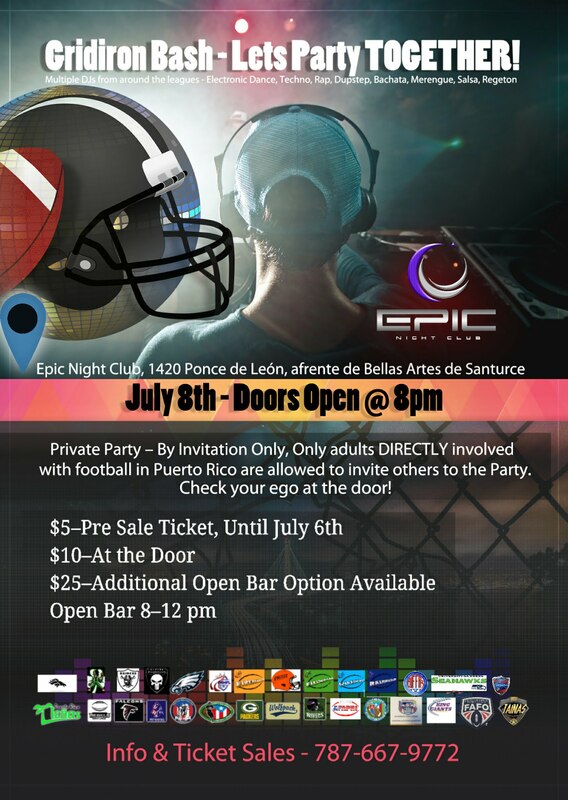 The first is to create a starting point for all things football in Puerto Rico. The second is to promote the great sport of football on the island. Puerto Rico currently has 7 great leagues. Lets all help promote the best sport around! Each of Puerto Rico's 7 football leagues are directed towards a different age group. Administrator@puertoricofootball.com or call 787-667-9772 for More information! Want to watch the big game with all your teammates? 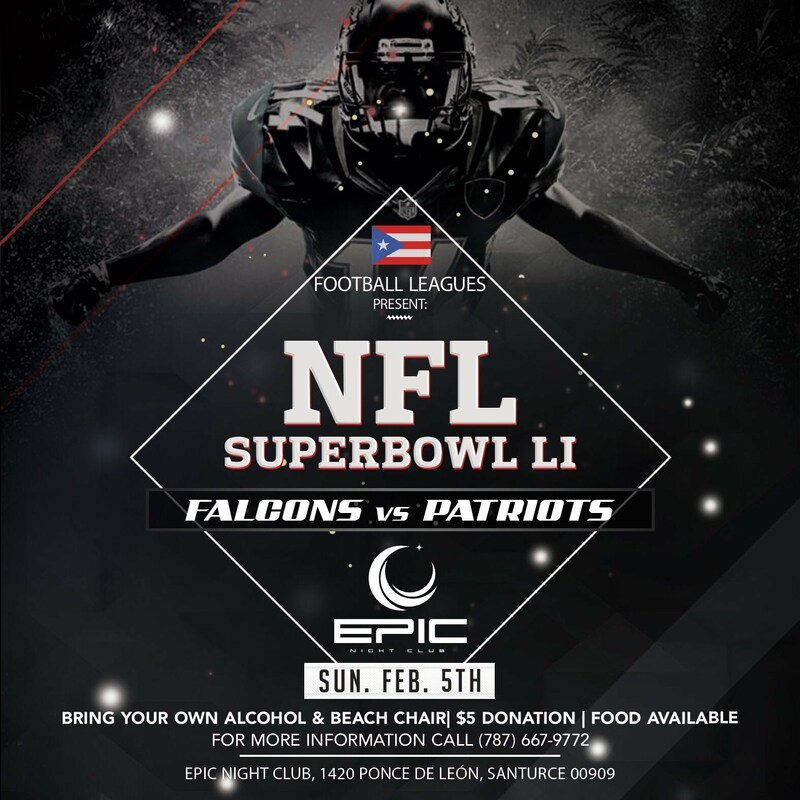 Bring your whole team and enjoy it on the big screen with state of the art Sound system at Epic Night Club. 1420 Ponce de León, in front of Bellas Artes of Santurce. Bring your own Alcohol & Beach Chair (or stand). $5 donation (portion goes to YOUR league). This private event is open to all ages! For more Info Call 787-667-9772.